Published on 6 July 2012. 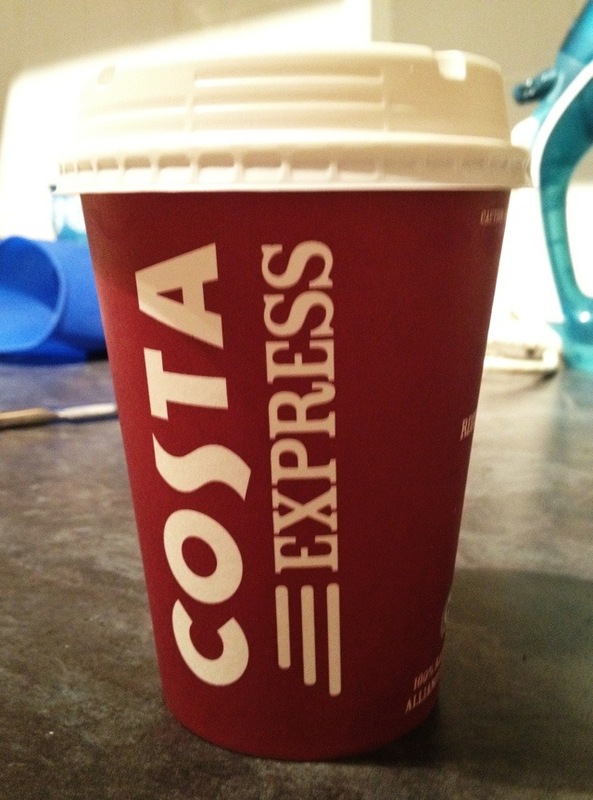 A couple of weeks ago, I wrote about the seemingly unstoppable spread of Costa Express machines. Today, I thought I’d throw caution to the wind, and – against my better judgement – try a hot chocolate produced by one of these machines. My previous experience of machine-produced hot beverages has been dominated by overpriced and undrinkable rubbish from hospital vending machines. I’m not quite sure what I expected from this Costa machine: Something resembling coffee shop hot chocolate? Something undrinkable? Something inbetween? As I pressed the button for a Costa hot chocolate, the one thing I didn’t expect was a cup of warm milk… yet that’s what I got! Not a drop of chocolate in sight! My faith in machine-crafted hot drinks isn’t exactly restored…! This 1,714th post was filed under: Photo-a-day 2012, Costa, Retail. Comment posted at 17:37 on 10th July 2012. We are very disappointed to hear about your experience with us. It would be fantastic if you could contact us so that we can find out where you purchased your drink so that we can resolve the issue. We are very keen to hear from any of out customer’s who have not had the experience they expect.